Looking to play basketball in Kalgoorlie-Boulder? 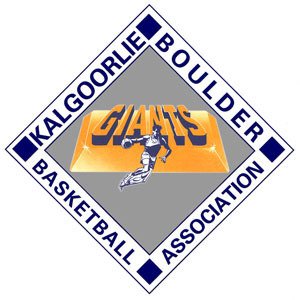 Basketball in the Goldfields is administered by the Kalgoorlie-Boulder Basketball Association (KBBA) who are an affiliated association of Basketball Western Australia. The game is played all year round, with the main summer season running from October to March each year. This year there are four main competitions/programs that the KBBA runs during this upcoming summer season. Aussie Hoops is a Basketball Australia developed program which is run by the KBBA for children aged 5-7. If you would like to play Aussie Hoops basketball, you will have to first register with the Association through our Aussie Hoops program and then you will be able to compete. skill development, coaching and a game. More information about this program will be announced shortly. A club based system that has six clubs involved over eight grades. Clubs involved are CBC, Heat, Olympians, Saints, Slammers & Zaros. If you would like to play junior basketball, you will have to first register with a Club and they will put you into a team which competes in our competitions. Due to an unprecedented demand, some clubs may be at capacity for certain grades so please check with all clubs if you find some are full. If you are having issues please don't hesitate to contact the KBBA administration. A club based system that has eight clubs involved over six grades. Clubs involved are CBC, Franchise, Heat, Los Amos, Olympians, Saints, Slammers & Zaros. If you would like to play senior basketball, you will have to first register with a Club and they will put you into a team which competes in our competitions. Juniors are able to play seniors the year they turn 14.